How does content fit into your SaaS marketing strategy? Kaya Ismail sits down with thought leaders to discuss the pivotal role of content. 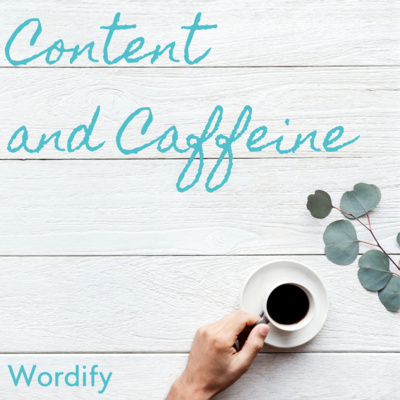 This podcast is presented by Wordify, a content marketing agency for SaaS companies. A content marketing strategy that's SEO-focused takes time to work, but when it works, it really works. Core dna (Coredna.com) is a digital experience platform (DXP) with an impressive blog that's growing every week both in terms of content and traffic. In fact, their traffic grew by 227% in a single calendar year. Dennis, the Head of Digital Marketing at Core dna, tells us how it happened. Liam Martin, CMO of Time Doctor, talks to Kaya about how he led the transformation of the company's content strategy. Their SEO and video marketing efforts went from 0-60, real fast. And to make matters more interesting, the Time Doctor team is totally remote. Enjoy! Ep 6: Why Build a Community Around Your Software? Should you build a community around your software or SaaS? How is it even done? This week’s guest is Abdul Shakur, Founder of Etica Agency. Kaya chats with Lifedigital.co Co-Founder Mohammad Arshad to discuss how a sales team can engage with leads towards the end of the content marketing funnel. If your team is predominantly technical, content marketing projects typically fall by the wayside. Kaya talks to Dennis Shiao about how marketers can plant seeds to build a culture of content creation, and how they can extract information from technical teams to fuel relevant content. How should a SaaS or software company use inbound marketing and outbound marketing? Should there be a difference in the strategy if your B2C versus B2B? Benjamin Utterback and Kaya Ismail discuss all of that, and more. In episode two of Content and Caffeine, Kaya chats with Robert Slaughter, Senior Marketing and Sales Executive at Ripple Effect Advisers, and Founder of Attivare. Together, Rob and Kaya discuss the growing role of audio and voice in the world of content marketing, as well as how brands can prepare themselves for a voice-centric customer experience. From Alexa Skills to voice search optimization, there’s plenty going on in this episode. Welcome to the very first episode of Content and Caffeine! In our premier show, Deepak Shukla, the Founder of Pearl Lemon, talks to us about the power of video content.